Mid is a premium Bluetooth® aptX headphone that delivers superior audio and 30+ hours of playtime on a single charge. Its custom 40mm dynamic drivers lend it a robust sound that balances clarity with just the right amount of bass � perfect for those who demand the best in sound. The on-ear design features a plush headband and 3D hinges that produce an ergonomic fit. 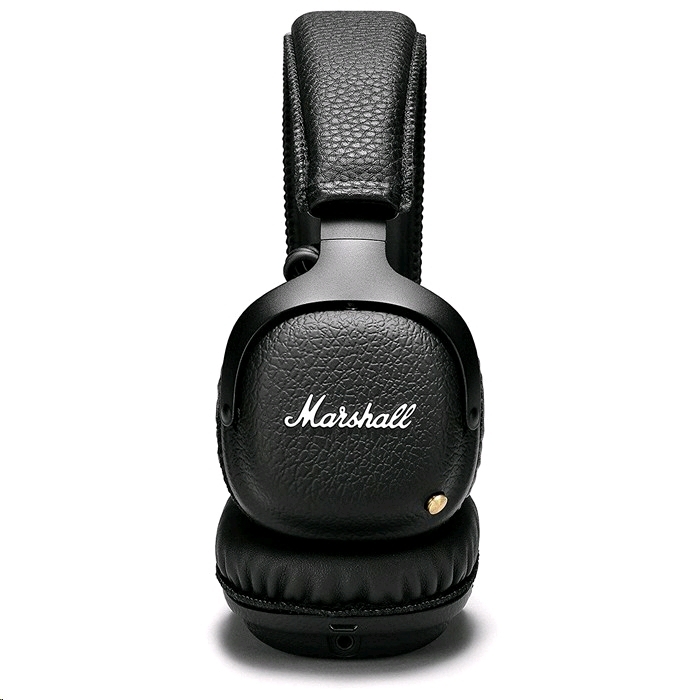 Complete with black vinyl, solid metal hinges and brass details mid is the embodiment of Marshall in a headphone. Connect wirelessly to Mid with Bluetooth® aptX technology. Not only can you blast your favourite tunes in CD-like audio quality, Bluetooth® aptX also minimizes audio/video syncing issues, allowing you to watch movies without experiencing horrible lip sync. The Mid Bluetooth gives you the freedom to move with 30 feet of wireless listening range. Custom tuned 40mm dynamic drivers lend Mid a robust sound that perfectly balances clarity with just the right amount of bass � making it ideal for those who demand only the best in sound quality. 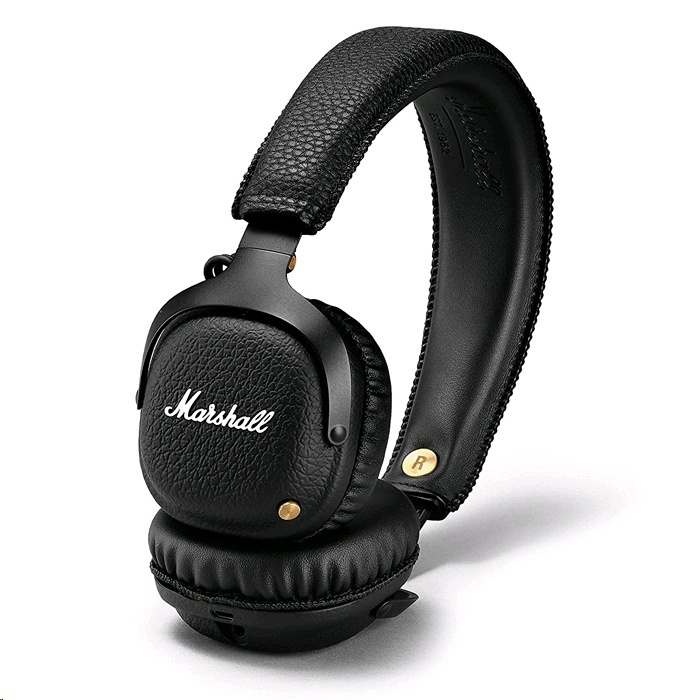 With its black vinyl, signature Marshall script and brass details, Mid is the embodiment of Marshall in a headphone. In addition to its rock �n� roll looks, the Mid features solid metal 3D hinges and an on-ear design that gives it a distinct look and supreme fit. When listening to music wirelessly, you can use the empty 3.5mm socket to share audio with someone else. With its collapsible design, Mid is the ultimate travelling companion; able to withstand long days on the road. When you are ready to give them a rest simply fold them up and store them away for safekeeping. In case you ever find yourself low on power simply plug the detachable 3.5mm cord into the empty socket or use the micro USB charging cable to recharge the battery.